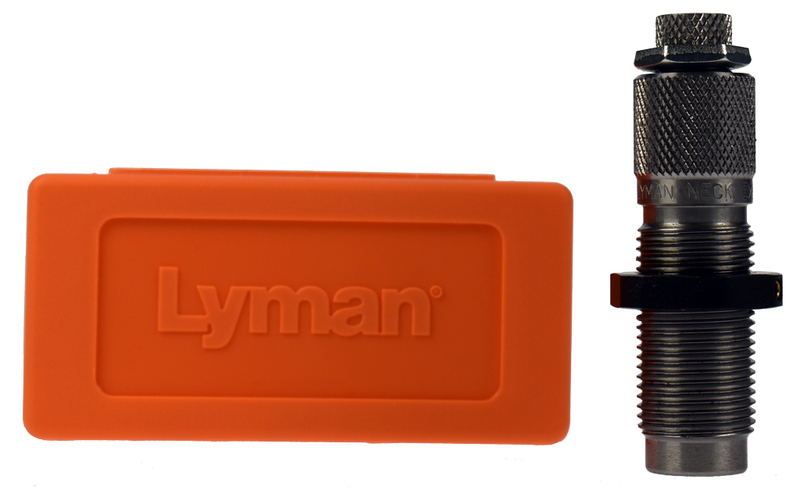 We recommend the Lyman “M” die when using our rifle caliber MR Bullet Feeders. Improves accuracy of cast and jacketed bullet reloads. Doesn't stretch cases as does standard expander button. Extends case life. A "Must-Have" die for the cast bullet or flat-base bullet user. The first step expands the inside of the case neck to just under bullet diameter for precise case neck tension in the finished reload. The second step expands the case mouth to bullet diameter or slightly over. This allows the jacketed or cast bullet to be started perfectly centered in the case mouth and properly aligned with the axis of the case neck. Note: By adjusting the neck expanding plug slightly deeper, the second step also provides a slight flaring of the case mouth for reloaders using cast bullets.